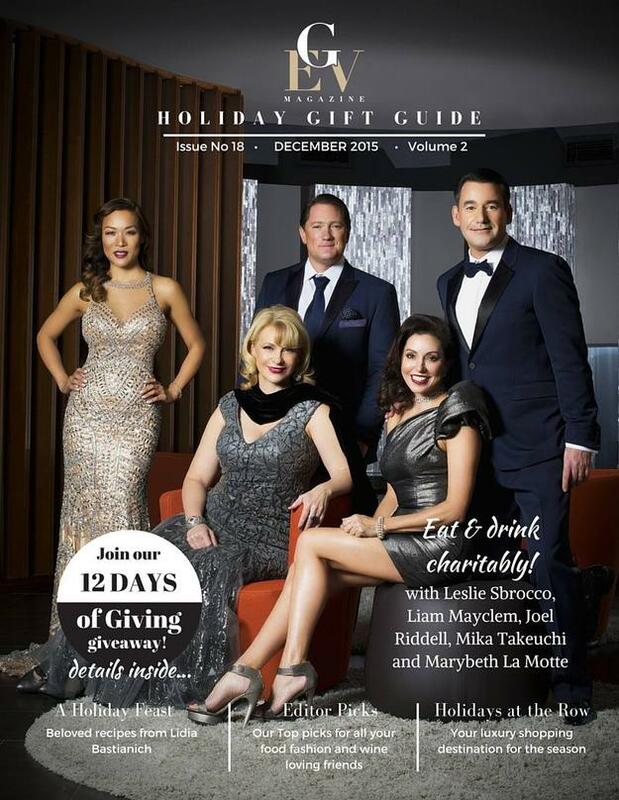 Thank you to GEV Magazine for featuring Liam Mayclem (CBS), Leslie Sbrocco (Check Please! 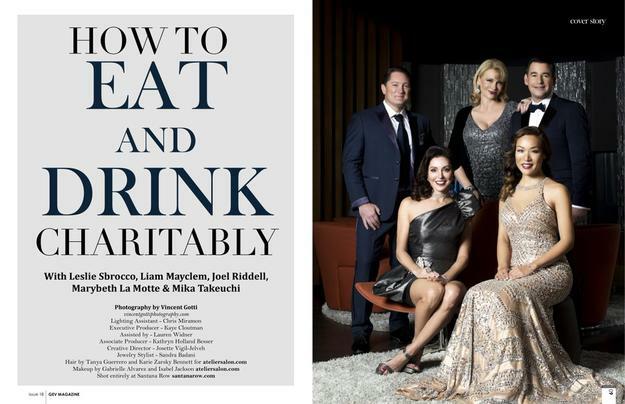 Bay Area), Joel Riddell (Dining Around), Marybeth LaMotte (Red Carpet Bay Area), and I in this month’s holiday issue focusing on charitable giving. We all share a passion for dining, but we also believe in the importance of giving back to the community. 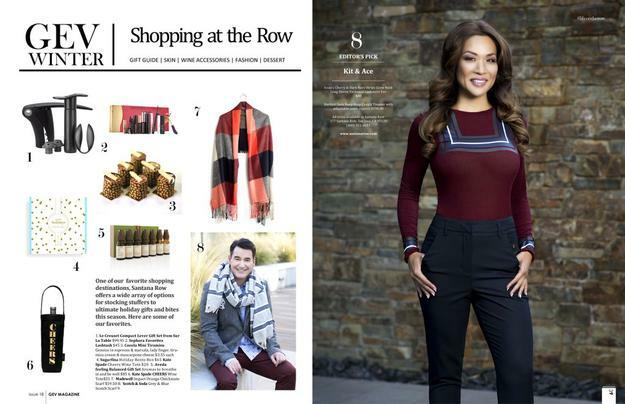 The photoshoot took place in San Jose’s Santana Row and it was a festive time filled with lots of laughter, stylish threads, and the ultimate glam squad from Atelier Salon. Photographer Vinnie Gotti did a fabulous job of making the day as comfortable and fun in front of the camera as well as off. Ted Baker Dress and extra big hair…it’s all mine though! When you’re a child, it’s so exciting to see what presents Santa Claus is going to deliver down that chimney and if he’s going to indulge in those cookies you baked and left out for him. As you grow up and fast forward to life as an adult, the holidays have a whole different meaning and become much more about what you can give rather than what you will receive. The end of the year is a time when the weather is crisp, leaves are shedding and you naturally become more reflective. Like the changing seasons and foliage, I find myself looking back at life and the past year and seeing how much change and growth has occurred. The holidays are a reminder that another year is coming to a close and while we’re here, life is about giving, loving, sharing and having tons of gratitude for all the blessings surrounding us. Being grateful for the special people in our lives and all that we’ve been blessed with is so key. The holidays come so quickly every year, and in this day and age of cell phones, social media and the internet, everything happens so quickly, but it’s so essential to slow down and remember what’s truly important. The holidays are a reminder that giving isn’t an exclusive once a year, end of year kind of thing. It’s a necessary and contagious habit that we can easily incorporate into our lives all year round. Read more about what the holidays mean to me and why I’m so passionate about giving back to the community in this issue of GEV Magazine.